238 pages | 32 B/W Illus. 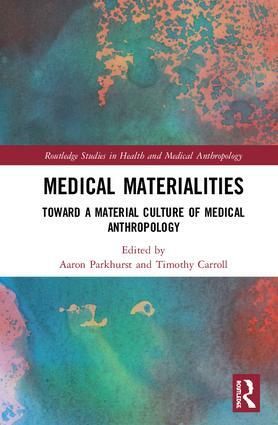 Medical Materialities investigates possible points of cross-fertilisation between medical anthropology and material culture studies, and considers the successes and limitations of both sub-disciplines as they attempt to understand places, practices, methods, and cultures of healing. The editors present and expand upon a definition of ‘medical materiality’, namely the social impact of the agency of often mundane, at times non-clinical, materials within contexts of health and illness, as caused by the properties and affordances of this material. The chapters address material culture in various clinical and biomedical contexts and in discussions that link the body and healing. The diverse ethnographic case studies provide valuable insight into the way cultures of medicine are understood and practised. Aaron Parkhurst is a lecturer in Biosocial Medical Anthropology at University College London, UK, with a focus on the anthropology of the human body, and the anthropology and bioethics of emerging technology. Timothy Carroll is a British Academy Postdoctoral Fellow in Anthropology at University College London, UK, studying end-of-life and post-mortem care amongst Orthodox Christians in Britain.